Discover Real Answers to your Life's Questions. If you are you looking for a monthly horoscope that will include love, money, career, family, and health answers, then you are in the right place. Horoscopes Within monthly horoscope forecasts are based on the current planetary trends and their effects on the most vital areas of your life. If the cosmic patterns show it, then your astrological forecast will know it. Your free monthly horoscope is based on your Sun Sign and your Rising Sign, don't leave without reading both signs. These are not "one size fits all" horoscopes that you find in your local newspaper, but in-depth horoscopes for real people with real life issues and concerns. is power, and astrology is powerful stuff. Get the power at Horoscopes Within! The Stuff Between the Stars. An accurate and thorough astrology forecast can improve your life through enhanced knowledge and guide you from the raging seas toward the calm waters of your life. Horoscopes Within has put a great deal of consideration into expanding your Monthly Forecast in order provide you with the information you need to recognize your current planetary cycle, thereby helping you to navigate through it with greater awareness. Astrology is a time proven predictive method for mapping out your life plan and direction. It is so much more than a personality profile, although that is where it all begins. Horoscopes Within will help you learn how to create your birth chart by using the whole sign house system or you can use the free birth chart generator and create your birth chart with interactive planets, aspects, and house positions. This method may be a little more perplexed to the beginner, but there is an abundance of information you can use no matter what your level of experience is in Astrology. Having the interactive planets can help you to identify the houses and aspects of your Astrological birth chart. You can also check the display options below your birth chart and generate additional tables which will display your planets in houses, the positions of the planets, and the aspects of your birth chart. People often ask if they are born on the cusp if they are both signs. Generate your free birth chart and wherever you find your sun, this will be your zodiac sign, not both. You may find that you exhibit a few characteristics of both sun signs, but you are only one sun sign, even if you were born seconds after the sun moved into the next zodiac sign. As long as you have your correct birth time, this is your cosmic bar code that will never change. You are your Rising Sign as well as your Sun Sign. Your Rising Sign is how others see you, or "Your Astrological Mask." Feel free to use the Rising Sign Calculator, a unique free tool provided for you to calculate your rising sign. You can also calculate the Rising Sign for friends and family members. If you're not interested in exploring your birth chart further, this will be all you need for the most accurate monthly horoscope prediction. Furthermore, your rising sign is the sign on the first house cusp of your birth chart, also referred to as your Ascendant. In your horoscope forecast, read your Rising Sign, the planet that opens the first chapter to your personal astrology, add that to your sun sign, the sign that shows what really drives you in your life, and watch events unfold, here in the pages of your horoscope, and in your personal circumstances. There is no such thing as a thorough horoscope interpretation where the Ascendant is unknown. The Rising Sign is essential in determining which planets and zodiac signs rule specific areas of your life. What if you don't know your birth time when you generate your free birth chart? Then you would use 12:00 noon and the location in which you were born. Unfortunately, there is no guarantee of the accuracy of your natal chart as the rising sign changes every 2 hours on average and this is the reason your exact birth time is so important. If you are unable to find your exact birth time, but do generate your free birth chart using 12:00, you will know where your sun sign and moon sign are located in your birth chart. You will also discover where all of the planets were active in the zodiac on the day you were born. You can also do this by locating an online ephemeris for your birth year. If you find this difficult, contact Horoscopes Within and I will get the information to you. In addition, this information is useful for those that are born on the days that the sun changed signs in the zodiac. Astrology is Not Rocket Science. Horoscopes Within will introduce you to Astrology in easy to comprehend terms, with a personal touch that you will find refreshing. If you only assimilate the most basic elements of Astrology, you will soon find that the connections you make to the planets and your life are relatively easy to recognize. When you discover that Astrology really works, you'll be hooked. English physicist & science fiction author Arthur C. Clarke said, "I don't believe in astrology; I'm a Sagittarius and we're skeptical". As an Astrologer, this is one of my favorite quotes. All the Worlds a Stage, the Planets are Key Players. The outer planets, Jupiter, Saturn, Neptune, and Pluto, show long term influences on our lives. Important developments often take time, sometimes years. The inner planets, Mercury, Venus, Mars, as well as the Sun and Moon also have a direct impact on specific areas of each of our lives, although they produce short term influences that occur quickly, as in weeks or a few short months. Horoscopes Within is dedicated to providing you information concerning the celestial bodies, how they play a part in your birth chart, their current role in your astrology forecast, and their influence on your life yesterday, today, and tomorrow. Each of the zodiac signs have an elemental quality such as fire, air, earth, or water. Check out the Elements page and find out what qualities you exhibit. The aspects are the lines you have seen in the middle of the birth chart. The Aspects page will give you a description of the different planetary alignments and whether the energy will be challenging or beneficial. Your astrological birth chart is divided into 12 sections, each section covering every area of your life - nothing is left out. Over the course of your lifetime you can expect all of the planets to transit the many different areas of your life. Learn how long each planet will transit these areas and their impact for you on the planets page. Learn more about the area of your life that the planets are currently influencing on the houses page. Of course, you could just read your monthly horoscope forecast as it will all be covered in the pages of Horoscopes Within. An Eclipse can change your life if it touches a planet in your birth chart. When a Solar Eclipse affects your birth chart, the universe is offering you a new beginning and a fresh start to the area of your life that it touches. You may begin a new career, find love, get married, or even become pregnant. When a Lunar Eclipse affects your birth chart, the universe will remove something from your life that is no longer necessary for your growth and development. Trying to hold on will only make the transition much harder. You could loose a job, your romantic circumstances could change, you may get divorced, or your child leaves home. The effect of an Eclipse on your birth chart can not be avoided or denied. Powerful unanticipated events reveal themselves during eclipse times. The Universe pushes us forward where we might have stalled without the help of its energy. Don't forget to check out the Eclipse page for this years eclipse dates and which signs will be influenced. Everyone will be affected by the Eclipse, although not all will be affected with the same intensity. Your monthly horoscope forecast will always include the significance of an eclipse on your zodiac sign. When the Messenger Comes Calling. Mercury Retrogrades several times each year, and when it does you can expect confusion and breakdowns in many areas of your life. When was the last time you lost your luggage, misplaced an important document, or couldn't find your car keys? Those are just a few examples of the frustration Mercury Retrograde can cause. These may seem like minor annoyances in everyday life, but buying a lemon of a car, or your computer crashing just might spark some interest in what the messenger has to say. You'll want to have the current Mercury Retrograde information on hand to help you to pinpoint these sometimes complicated periods. Did you know the oldest surviving birth chart is dated 410 B.C.E.? As far back as 3000 BC, ancient astrologers knew that the stars provided a backdrop for the planets. The stars were organized and given an identifiable pattern that formed the twelve constellations of the zodiac. Astrology is an art, a science, a language, and a tool that humans have used for thousands of years to increase their awareness of their connection to the universe. Astrology is the study of planetary cycles and their effect on an individual based on his or her unique birth chart. Astrologers have been consulted by Presidents, Officials, Celebrities, Stock Brokers, Doctors, Lawyers, and people from all walks of life in order to help them determine the best times to promote themselves, investigate their personal circumstances, and plan their lives according to the current Astrological trends. Horoscopes Within provides you with easy astrology, explains how it is used today to create your monthly horoscope, helping you to pinpoint your individual characteristics, and predict events that will develop in your life. Astrology is your universal teacher and will provide you with tangible evidence that you aren't just living in a cosmic dust bowl. The Clockwork of the Heavens. Horoscopes Within also provides the current year's Ephemeris for you to review precisely where the planets are located and in which sign they are currently transiting. The Ephemeris can be printed in order for you to have the information at your fingertips. In ancient times this calendar was called the Book of Days. This ephemeris continues to be an invaluable tool for the Astrologer. New beginnings and endings to issues in our lives are affected by New and Full Moons. Every month you will have the opportunity to put something to rest and start fresh in an area of your life. Check out the New/Full Moon page for a heads up on what changes are forthcoming. They are coming, so you'll want to be ready! Finding Your True Bearing in the Cosmos. Horoscopes Within offers many extraordinary Personal Horoscope Services. You don't need any experience in astrology to enjoy or understand your personal horoscope report. Our astrological reports range from 10 - 70+ pages depending on the report you choose. Your personal horoscope isn't some randomly generated computer report for your sun sign. It is calculated for your exact birth time and location. Your personal horoscope is like your fingerprint; no one else has it! Our Astrological Reports are affordable Professional Horoscopes with the interpretations given by renowned experts in the Astrological Community. These are the Professional Astrologers that have written the books on Astrology and their credentials are provided. Through their years of practice and application, teaching and authoring, the computer age has made it possible for you to have a professional comprehensive and extremely affordable horoscope that is calculated specifically for you. Your personal horoscope will cover much more than your personal characteristics and development, but also the most important issues that are going on in your life right now as well as what is approaching. You will find your personal horoscope report to be amazingly accurate and very enlightening. Having your own personal horoscope will give you answers to your love life, family life, career, finances and so much more. Don't Waste Time Living Someone Else's Life. Choose from Personality Reports (what your chart says about who you are), Future Transit Reports (what issues are coming up for review), Compatibility Reports (friends or lovers), Relocation or Current Location Reports (your location and its influence on your circumstances), Past Lives Reports (what your chart says about you and Karma), Your Child's Report (an in-depth look at your child), and many more. 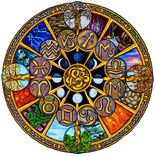 Horoscopes Within professional horoscope reports make a special and unique gift for friends and family members. Read what customers have said about their unique horoscope and take a look at the examples provided. When your friends and family see yours, they will want one too. Don't miss the opportunity to have your own personal horoscope! Tobacco Companies are making Billions; What's in Your Account? If you are ready to Stop Smoking, Horoscopes Within would like to assist you with the help of Astrology. It doesn't matter how long you have smoked - when you are ready, I have calculated the dates that will bring you the most success based on your desire to quit and the precise alignment of the planets. Read the Quit Smoking page to find the best days each month to become a successful quitter with the help of the universe. The stars can help you to break free forever! You absolutely can Quit Smoking this month with astrology! Rate your Compatibility horoscope is another free tool for you to use. The script has been translated to English and provides you a free compatibility horoscope report based on your sun signs. However, relationship compatibility does encompass much more than a connection between sun signs. Look to the seventh house in your birth chart for a better understanding of the type of partner that would be best for you. Horoscopes Within offers Simpáticos; a relationship horoscope based on two unique birth charts. Your report can be generated for your relationship with a friend or a lover. Simpáticos is an eye opening compatibility horoscope that is utterly mind-blowing! If you're in a serious relationship, you can't afford not to have this information. The Wise Man that Missed the Camel. One Christmas several years ago, a Minister friend of mine asked me what I had received from my fiancé (now my husband) for Christmas. I am a Christian, and I have been around long enough to know that many religions do not agree with astrology or it's practice. I told the Minister about my gifts, and although I was a bit reluctant, I did mention that I had received a fantastic book on Astrology. With respect for this mans position in our community, I then followed with the remark that "I knew we weren't supposed to believe in Astrology". He said, "People do not believe in that which they do not understand." He then smiled and gave me a Merry Christmas hug. What a kind and wise man! Something to keep in mind if you are ever faced with astrology verses religion. Making a Difference, One Website at a Time. Drawn by the Music of Cosmic Harmony. As tomorrow unfolds we grow through change and experience. Our lives become endless pages in time filled with joy and sadness, and as each page is turned we are no longer the person we were yesterday. Though sometimes challenging, we become more conscious of who we are spiritually and emotionally as a direct result of our experiences. There are times in our lives that we will make outward changes in our behavior or appearance. At other times the need for further personal growth comes from inside. Your monthly horoscope forecast can help you identify your current cosmic path and help you along with a better understanding of what lies ahead. You should be confident that the energy of the Universe and its Creator played a leading role in who you are today. We find our Horoscopes Within. Wishing you the best the Universe has to offer!